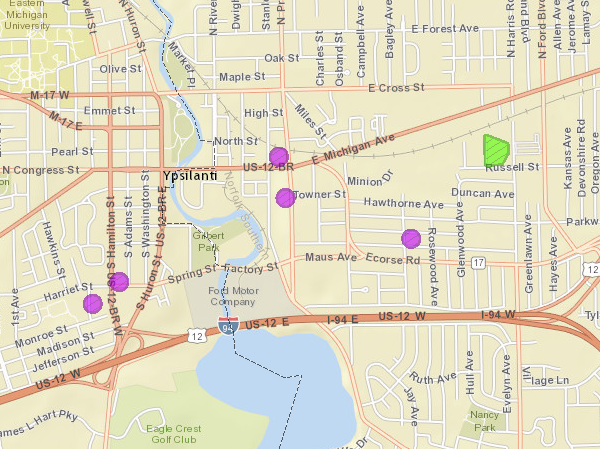 WXYZ and other Detroit television stations are reporting that it was an apartment fire that knocked out power to 3255 Ypsilanti residents this morning. Power went out at about 1:00 a.m and was restored to most subscribers just before 8:00 a.m. An area on Russell St with 165 subscribers is still without service, with no estimated restoration time given. Four schools - Erickson Elementary, Forest School, Washtenaw International Middle Academy, and Washtenaw International High School - are closed as a result of the outage, reports the Ann Arbor News. There is a warming shelter open at 239 Spencer Lane near the Ypsilanti Community Middle School at Willow Run. Map as of 8:04 a.m. I just lost power briefly but it was enough to knock my alarm clock out. In fact, I lost it twice. I almost didn't get up in time this morning.